The T Fellowship, in association with Columbia University School of the Arts, has announced a five-year $100,000.00 funding commitment from The John Gore Organization beginning in 2018. The T Fellowship is a one‐year program designed to educate and empower new creative producers. The fellowship provides a stipend of $10,000 with a $20,000 budget for the development of a new theatrical production; the fellowship recipient will have access to courses in Columbia’s MFA Theatre Management & Producing Program. The application deadline for the seventh annual T Fellowship is October 15, 2018. The application will be available online in early September. Final candidates will go through an interview process with the T Fellowship committee. The Fellow will be announced and the program will begin in January of 2019. For more information, click here. The fellowship was established to honor the legacy of Broadway producer T. Edward Hambleton by supporting and developing a new generation of gifted, emerging creative theatrical producers, who initiate work from the ground up, following a path all their own. When Geraldine Stutz first met T. Edward Hambleton, her instinct told her that a collaboration with him would be an exciting adventure in the world of theater. A few years later, the adventure became a reality when the Fellowship for Creative Producing was hatched in Geraldine’s living room with T. himself, Hal Prince and Ed Wilson. The T Fellowship mentors are Harold Prince (Mentor and Founder), Margo Lion, Gregory Mosher, Tom Schumacher, Jeffrey Seller and David Stone. The program is managed by Columbia University School of the Arts. Orin Wolf and John Pinkard were awarded the first two T Fellowships in 2006. Aaron Glick (2013), Jen Hoguet (2015), Christopher Maring (2016) and Allison Bressi (2017) are past recipients of the T Fellowship. Other advisors and staff for the T Fellowship program include Director Orin Wolf (President of NETworks), Co‐director Steven Chaikelson (Head of the MFA Theatre Management & Producing Concentration at the School of the Arts), and program advisors Victoria Bailey (Executive Director, Theatre Development Fund), Ed Wilson (Co-Founder) and Allen Greenberg (Director of The Geraldine Stutz Trust). The goal of the Fellowship is to support the development of gifted emerging theatrical producers. The T Fellowship is committed to sustaining the finest traditions of creative producing. Although the environment in which theater is produced continues to change, the underlying principles that have historically shepherded great works of American theater continue to have validity today and must be understood and adapted if the art form is to thrive. The T Fellowship is a project-based program that supports the development of the chosen fellow’s project over the course of one year. Each fellow is given access to a selection of courses in the MFA Theatre Management & Producing Program at Columbia University School of the Arts. The specific courses are chosen in order to best support the fellow’s growth. In addition, each fellow receives structured mentorship from the mentors and advisers who retain an “advise and consent” role in the process. Through these two support systems, the program aims to empower the fellows as they exercise freedom in all the creative and financial areas of development. The T Fellowship exposes the Fellows to the widest possible range of contemporary theatrical producing practices while providing opportunities to discuss the shifting role of the creative producer. The T Fellowship will provide financial, legal, and production support for development of a project and a presentation. The philosophy is that which is good for the art form is good for business. The Fellowship emphasizes that the creative producer’s role is to be the instigator, the collaborator, and the leader who gets art on the stage and to the public. The T Fellowship neither wishes to turn back the clock to 1950 nor settle for the status quo. The T Fellowship is looking to empower new producers to reinvent the wheel themselves, on their own terms, following their own tastes, in their own style. Limiting selection to one or two candidates a year is fundamental to the program. The limitation on the number of Fellows allows for maximum attention to the individual goals and needs of the Fellows. In addition, it ensures that the Fellowship can maintain a high degree of selectivity. Selection is based on an application, essays, and interviews. The T Fellowship will be accepting new applications through October 15, 2018. Final candidates will go through an interview process with the T Fellowship committee. The Fellow will be announced and the program will begin in January of 2019. The T Fellowship grew out of an idea that T. Edward Hambleton first had in the mid-1990s. He imagined a program that would help foster a new generation of creative theatrical producers who would stand apart from those who were strictly financiers. He worked with Harold Prince, the late Geraldine Stutz, Ed Wilson and the Theater Development Fund and the idea for the fellowship took shape. The Founders believed the program would be best served under the umbrella of one of New York’s top-level educational institutions and approached Columbia University. The University, through Gregory Mosher at the Columbia Arts Initiative and Steven Chaikelson in the Theatre Program at Columbia University School of the Arts, further developed the vision and structure for the fellowship and provides the Fellows access to the extraordinary academic and cross-disciplinary strengths that Columbia University offers. Today, through the ongoing generous support of the John Gore Organization, the Geraldine Stutz Trust and the Broadway League, a new fellow is selected annually. The T Fellowship is administered by the Theatre Program at Columbia University School of the Arts. A Committee of Mentors and Advisors has been formed that includes the T Fellowship Founders, the Head of the Columbia University MFA Theatre Management & Producing Program, working theater professionals and members of the Columbia University faculty. This Committee approves Fellow selection, rotation programs, project selection, and budgets. Mentors and Advisors make themselves available to the Fellows on a one‐on‐one basis; additionally, they are a resource to the broader Columbia student population through participation in seminars and panel discussions. T. Edward Hambleton founded the Phoenix Theatre with Norris Houghton in 1953, making it an early force in the Off‐Broadway movement. After 29 consecutive New York seasons and 164 productions as managing director, T. Edward continued the Phoenix commitment by presenting challenging new productions of high artistic quality and assisting emerging playwrights. During its long and distinguished history, the Phoenix presented new works by Robert Audrey, Frank Gilroy, Arthur Kopit, James Saunders, LaTouche and Moross while at the same time offering fresh productions of Shakespeare, Shaw, Pirandello, Brecht, O'Neill, Ionesco, Fry, O'Casey, Sherwood, Gorky, Marlowe, Kaufman and Hart, Sartre, Molière, Miller and Williams, under such directors as Tyrone Guthrie, John Houseman, Ellis Rabb, Gordon Davidson, Hal Prince and Gene Saks with actors including Helen Hayes, Irene Worth, Cynthia Harris, Meryl Streep, Eva Le Gallienne, Jimmy Stewart, Nancy Walker and Carol Burnett. After 1976, the Phoenix concentrated on new plays and the nurturing of new playwrights through its Commission Program. The fruits of these labors include Wendy Wasserstein's Uncommon Women and Others and Isn't It Romantic; David Berry's G. R. Point; Marsha Norman's Getting Out; Ron Hutchinson's Says I, Says He; Peter Handke's A Sorrow Beyond Dreams; and Mustapha Matura's Meetings. Hambleton served as a member of the Board of Directors of Center Stage in Baltimore, Maryland, and as a member of the Board of Governors of the League of American Theatres and Producers. He received a Tony Award for Lifetime Achievement in the Theatre in 2000. In 2001, he was added to the Theatre Hall of Fame. 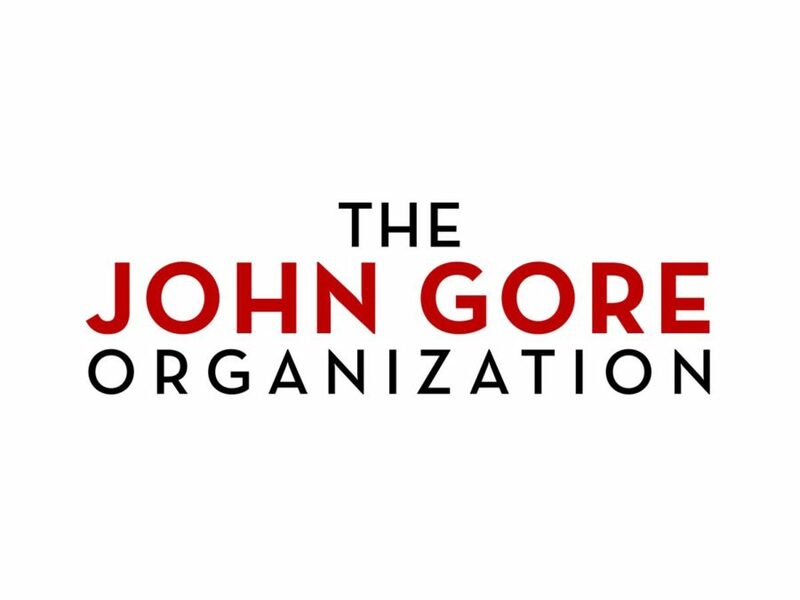 The John Gore Organization is the leading developer, producer, distributor and marketer of Broadway theater worldwide. Under the leadership of 13-time Tony Award-winning producer and owner John Gore, its family of companies includes Broadway Across America, Broadway.com, The Broadway Channel, BroadwayBox.com, and Group Sales Box Office. The company presents shows in 44 cities across North America as well as on Broadway, Off-Broadway, London’s West End, Japan, and China. It has won Tony Awards in every producing category as well as numerous other Drama League, Drama Desk and Olivier awards. The MFA Theatre Program at Columbia University School of the Arts is international, collaborative and interdisciplinary. Named in honor of Oscar Hammerstein II, it is defined by its location in New York City, a global capital of theater, and by the extensive network of Columbia alumni and faculty who run prestigious Broadway, Off‐Broadway and regional theaters; direct and perform in Tony‐ and other award‐winning production; work in every level of the professional theater world; and teach, mentor and engage with students on an ongoing basis. The Theatre MFA programs in acting, directing, playwriting, dramaturgy, stage management and theater management & producing seek students who have the talent, vision, and commitment to become exceptional artists. At the School of the Arts, students acquire disciplines rooted deeply in the classics while branching out into new forms and exploring the cutting edge of theatrical art. The best theatre in every culture and in all eras has not only reflected its time but also shaped its society and often helped point it toward the future. The Theatre Program aims to train theatre artists to fulfill that important role in today’s society. Among the program’s leading faculty are Anne Bogart, James Calleri, Steven Chaikelson, David Henry Hwang, Brian Kulick, Chuck Mee, Lynn Nottage, Christian Parker, Michael Passaro and Ron Van Lieu. For more information, click here. Columbia University School of the Arts awards the Master of Fine Arts degree in Film, Theatre, Visual Arts and Writing and the Master of Arts degree in Film Studies; it also offers an interdisciplinary program in Sound Arts. The School is a thriving, diverse community of talented, visionary and committed artists from around the world and a faculty comprised of acclaimed and internationally renowned artists, film and theater directors, writers of poetry, fiction and nonfiction, playwrights, producers, critics and scholars. In 2015, the School marked the 50th Anniversary of its founding. In 2017, the School opened the Lenfest Center for the Arts, a multi-arts venue designed as a hub for the presentation and creation of art across disciplines on the University’s new Manhattanville campus. The Lenfest hosts exhibitions, performances, screenings, symposia, readings, and lectures that present new, global voices and perspectives, as well as an exciting, publicly accessible home for Columbia’s Miriam and Ira D. Wallach Art Gallery. For more information, click here.